While in constant search for natural products, I discovered that Korean beauty company TonyMoly carries items that suit my preference for non-synthetic products. With more and more Korean cosmetic companies entering the local retail scene, not to mention the increasing names in natural and/or organic Filipino beauty aids, it is difficult to be attuned with all the latest trends. 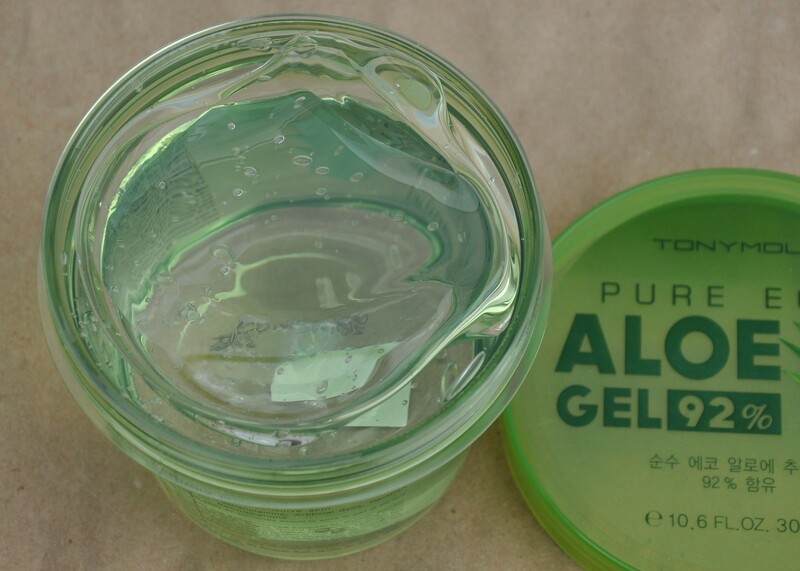 Glad to see the aloe vera gel of the old school is back. 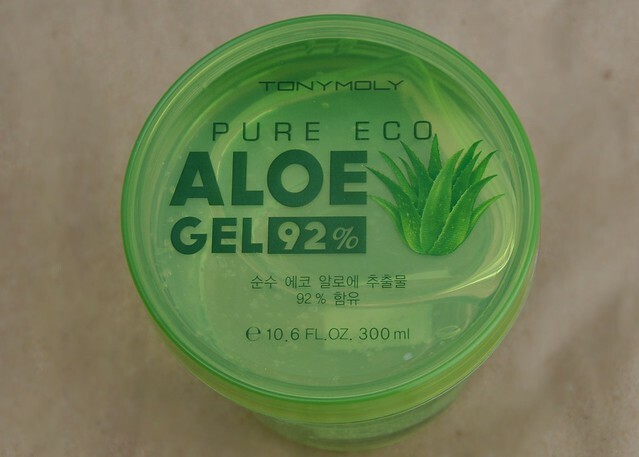 TonyMoly Pure Eco Aloe Gel 92% can be a more convenient way for me to get perhaps the same nutritive benefits from 100% aloe vera juice straight from the rind. 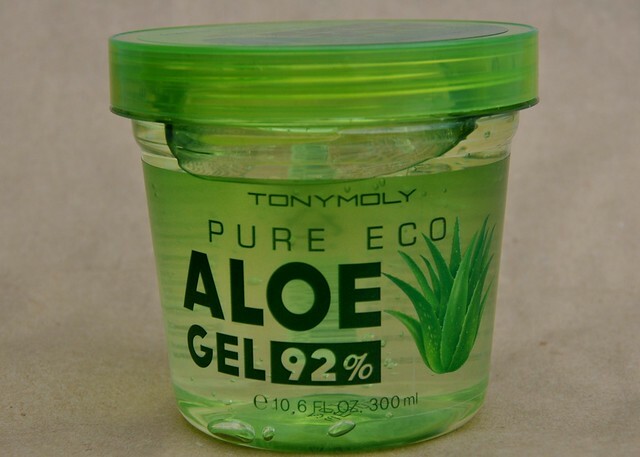 Using aloe vera is a trick I learned from my dad and my yaya Cion. My dad gets more abundant, blacker hair when he treats his hair with backyard aloe, while manang Cion cuts up an aloe vera, gets the juice out and applies to sunburnt skin to get skin instantly hydrated and to avoid peeling. But those were the days when I lived in a house with a well-cared for garden. The versatility of aloe is classic. Besides being a safe plant skin moisturizer and an effective idea to slow down hair loss, it can also help brighten and bring back elasticity to the skin. I got kinda out of control at a TonyMoly shop especially with all the cutely packaged products they are known for. 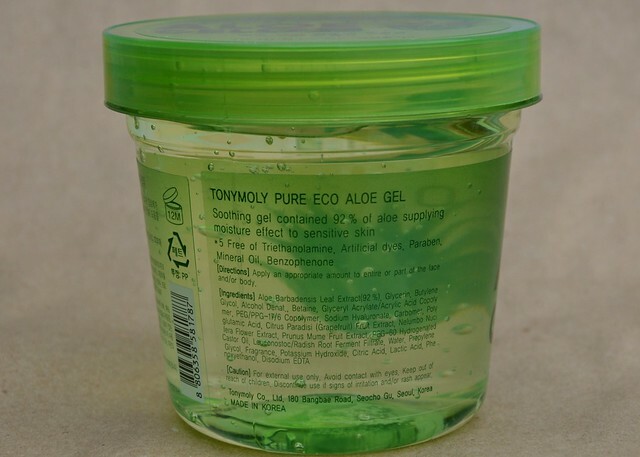 The Pure Eco Aloe Gel stood out because it looks like the most basic, generic, familiar item on the shelves. I’m treating my farmer’s complexion from too much toasting in the outdoors this summer. 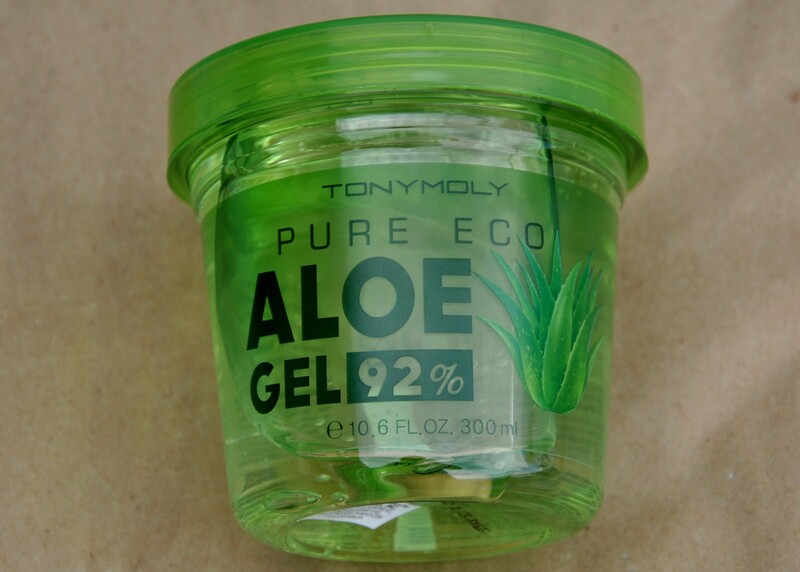 I love the soothing, non-sticky feel of aloe on the skin.